Representatives from all the parties who have MPs in Westminster should be invited to take part, argues Best for Britain chief Eloise Todd. Theresa May has challenged Jeremy Corbyn to a debate where she will try to defend her botched Brexit deal. And both leaders have signalled they don’t want others taking part. May’s line is “back my deal, it’s better than Armageddon” – while Corbyn keeps everyone guessing on where the longest gestating Brexit policy in history will finally land. While it may be tempting for Brexit watchers to schedule a couple of hours to watch May defending the indefensible and Corbyn explaining the unfathomable, I believe that having no advocate for a people’s vote would totally miss where the public are on Brexit. Research we released at the weekend shows that two thirds of people now want a final say for the public on Brexit, and support for staying in the EU has never been higher. If the debate is left as is, it would mean no one standing up for the people’s right to their final say on Brexit – and no one to represent the benefits of staying in the EU. Best for Britain has launched a petition for a proper debate on Brexit – since it launched at 4pm yesterday over 10,000 people have signed it. We shouldn’t let this become a one-sided debate, and both leaders need to think about where the people are on this debate. All options should be on the table – including holding a people’s vote on the deal with the option to stay and lead in Europe. Even the Daily Mail’s own poll this Wednesday shows that voters now massively support a second referendum on the final deal – by 48 percent to 34. It is imperative that broadcasters make sure all sides of the argument are represented. We say representatives from all the parties who have MPs in Westminster should be invited to take part. Just like during the General Election. I worry that if that doesn’t happen, we play into Theresa May’s agenda to railroad the country into Brexit, with her having the space to present a calamitous no deal as the only other alternative. 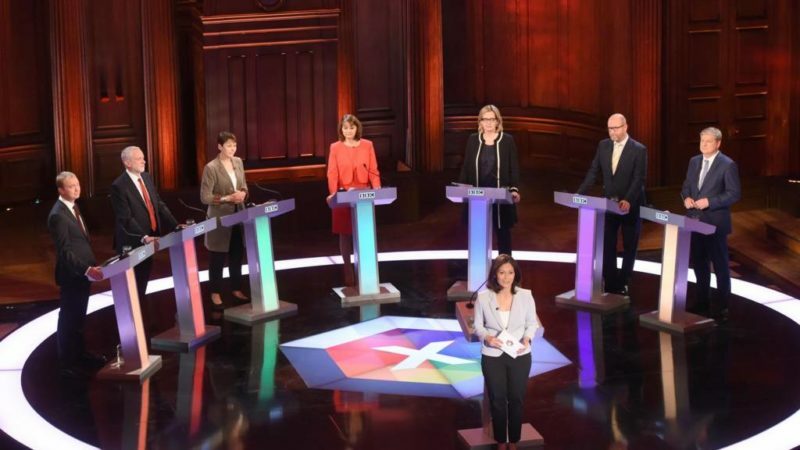 A proper debate will help Labour and wider progressive politics too. Labour can’t be stuck arguing for another form of Brexit when their supporters and voters have long moved on. Best for Britain research shows that Labour voters are by far the biggest group to shift from leave to remain, with a net number of over 1.4m Labour voters that voted Leave in the 2016 referendum switching in favour of staying in the EU. There is a clear case for Labour to keep moving towards a people’s vote and join their voters, supporters and members. Who knows: it could then be the night Labour open the door wider to a people’s vote, and steal a march on the government at the same time. Eloise Todd is Chief Executive of Best for Britain. To make sure the public hear all options for our future debated in the Brexit debate – sign the petition today.